Batman: The Animated Series! Fans of the Batman: The Animated Series and The New Batman Adventures rejoice! 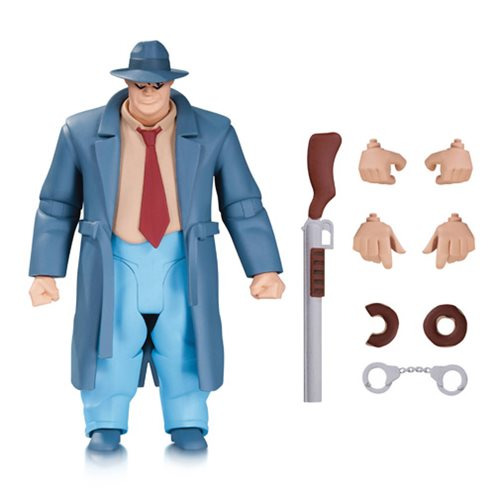 Based on the designs of Bruce Timm, comes The New Batman Adventures Harvey Bullock Action Figure and he stands 6-inches tall! Harvey comes with an interchangeable head and 2 pairs of interchangeable hands, donut and handcuff accessories, as well as a shotgun! Ages 13 and up.